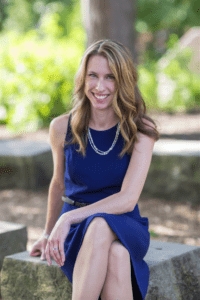 Let’s give a warm Tall Poppy Writers welcome to debut author Jessica Strawser and help her celebrate the launch of ALMOST MISSED YOU. When most people talk about Anne Tyler, it’s The Accidental Tourist they mention first, but I think Dinner at the Homesick Restaurant is my favorite of her many wonderful books in the way it captures the highly relatable complexity and hilarity of one’s family’s dynamic. Nobody writes characters like Anne Tyler—nobody. They’re so vividly real, so fully realized, flaws and all. But I think in categorizing her as a more literary writer, people overlook how sharply funny she can be. This book and Breathing Lessons (for which she won the Pulitzer Prize) both had me laughing out loud, and I’d encourage anyone who has missed them to go back and add them to the TBR pile. These aren’t just books to admire: They’re books to unabashedly enjoy. Where did the idea for your debut, ALMOST MISSED YOU, come from? I’ve always been fascinated by the idea of fate, of what’s meant to be— “the one,” and “the one that got away,” and the idea of soulmates. So I wanted to play with that idea and take a couple that has the perfect fated story—they got together through years of near misses and missed connections until finally the stars aligned, finally the timing was right—but then hold that story up to a different light and ask, What if it wasn’t what it seemed? We’re all unreliable narrators, to a certain extent, in our own lives, and so I wanted to peel back the layers of omission and bias and limited perspectives and show the many sides to their story—sides that even the people involved may not have fully known. I typically write at night, after my children are asleep, which is not at all my favorite time to write—but it’s the time I have available, and so I make it work. I often snack while I write, partly so that I don’t get sleepy, which is probably going to catch up with my waistline at some point! Otherwise I don’t know that I have many quirks, other than an uncanny ability to solve plot points in the shower and end up running for my laptop in a towel, dripping all over the carpet. Since my children are only 3 and 5 years old (and were much younger when I started this process), it was tough for them to grasp what was really going on with my becoming a published author when it was merely a topic of conversation to them. Only recently, in getting finished copies in hand and involving them in these early book launch events, have they truly begun to understand what’s happening. When my first real hardcover arrived, my 5-year-old threw his arms around me, unprompted, and yelled “Mommy, I’m so proud of you!” Finally getting to involve my whole family in something I’ve largely been doing while they sleep makes me happy beyond measure. I’m a busy working mom and so people often ask me how the heck I find time to add writing to the pile. But (in the moments when I’m not sweating a deadline, anyway) the truth is that as someone who laments having little time or headspace to myself, the creative outlet satisfies something in me that is freeing and rewarding and energizing in all the best ways. When I’m between projects, I start to itch at a certain point not so much for the routine (which I do sometimes need a break from), but for that feeling that comes from creative neurons fueling the flow of words on the page. 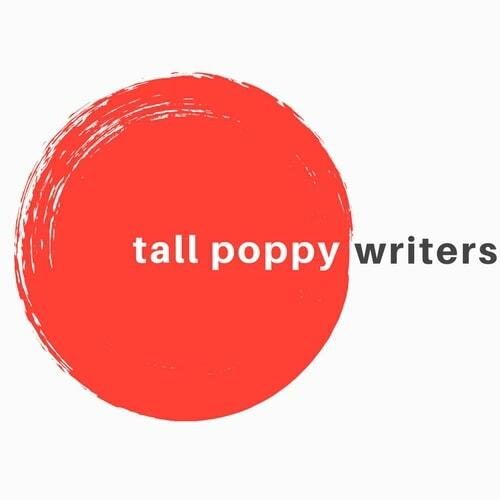 I feel unbelievably lucky to have tapped into something that fulfills me in that way—and connecting with fellow writers and readers who share in that thrill is icing on the cake. That I can trust in myself—at least to a certain extent. That having the right team behind you can make a world of difference. That I love connecting with readers. And that I probably still have a lot to learn! I’m just wrapping a revision of the second book in my contract now. It’s an upmarket women’s fiction/domestic suspense hybrid in a similar vein, and I’d love it if you’d look for it next spring! 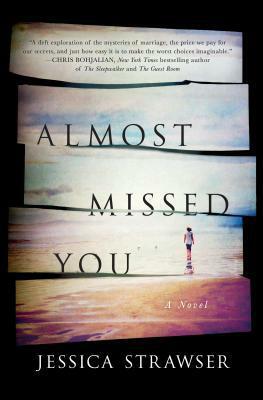 Looking forward to read Almost Missed You!